Ron Brown's week started strong, earning his first @WSOP Circuit @Thunder_Valley ring in Event 4. Fast forward a whole 60 hours and he's back at it again, winning his second ring in the $580. 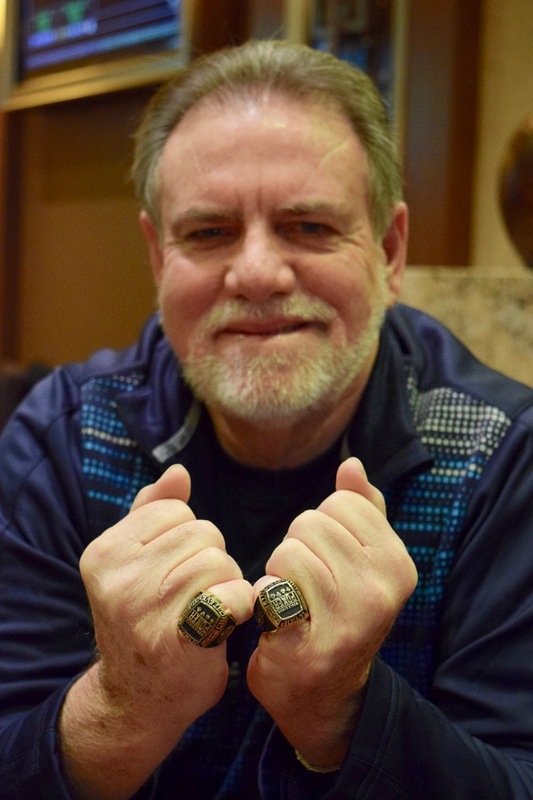 Brown becomes the first-ever two-time WSOP Circuit Ring winner from Thunder Valley. He picked up his second ring by defeating Neil Scott heads-up for the title, with Alameda's Joe Ghio taking third. The final three wrapped up play last night after 31 levels, returning today with play finishing off in just under an hour. Brown's 3-handed strategy was similar to what he used throughout the final table to keep his chipstack relevant. He frequently bet big preflop - even 3-betting all-in - to take away the ability of his opponents to possibly outflop or outplay him postflop. Once heads-up play began, the strategy had been so effective that he held a 5-1 chiplead on Scott. The only hands Brown was not all-in during heads-up play were the ones Scott mucked preflop. 8 minutes later he was seated in Event 10, the 6-max, looking to add points as he now sits atop the WSOP Thunder Valley Casino Champion Leaderboard with an entry in to a Million Dollar WSOP Global Championship Freeroll at stake. Here's all the $580 results.